My friend, Carolyn Dube, started a Mixed Media Newsletter a while back showcasing work from her Blog. 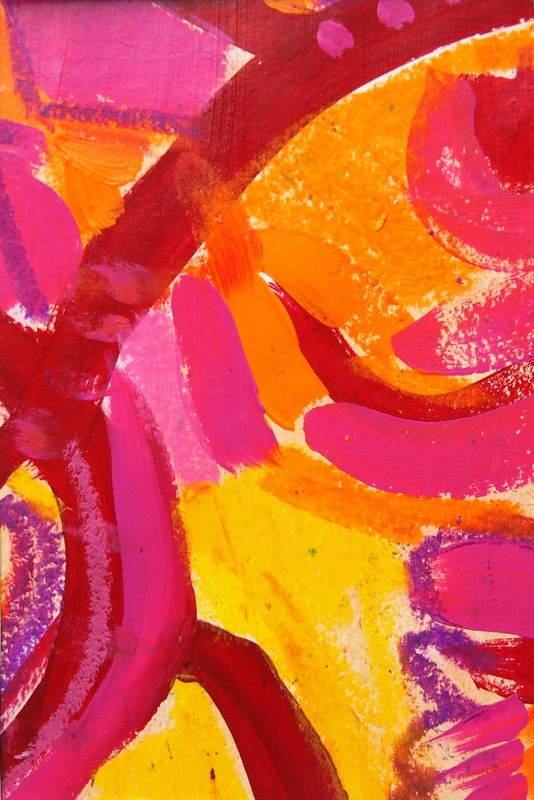 In her newsletter she takes a small snippet from a piece of art that she has completed and inspires us to take it and let it inspire us to make a new piece of artwork. This time I took the Spark and enlarged it to letter size and printed it out. It is so colorful and fun that it reminded me to remember to enjoy life, have fun and see that something as little as color can put a big smile on your face. All I used in addition to Carolyn's piece was a black pen and a white pen. Have you signed up for Carolyn's newsletter yet? 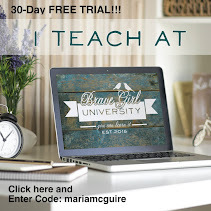 If not you can go to her Blog HERE and sign up so you can get inspired too! 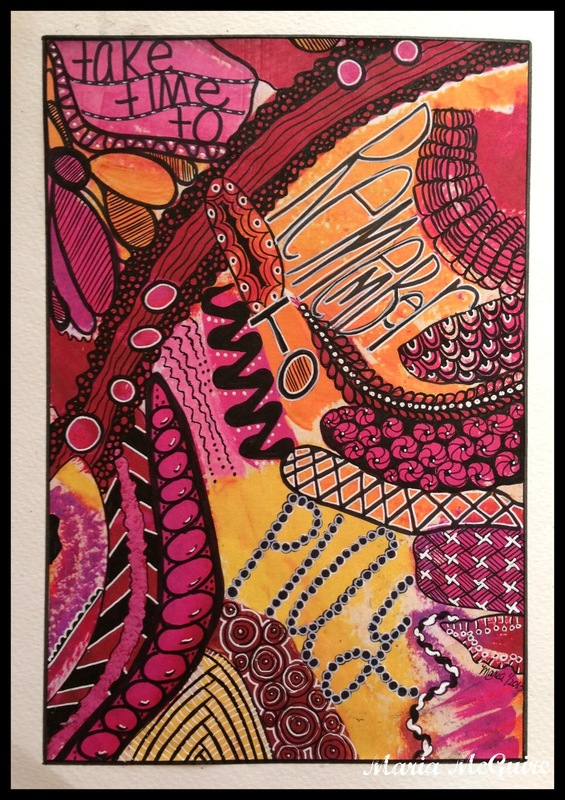 HERE is another piece I did with Carolyn's Spark of Artspiration a few months back. I'm also going to enter this in the last Fall Fearless and Fly. I used a little bit of each of the prompts in my design. Oh I love this! Very happy! I need to make time to doodle like this! Love how it just floats and flows! I love how you see things!! AWESOME made Maria.. and what a great idea by carolyn! Good do know such creative and artsy women! 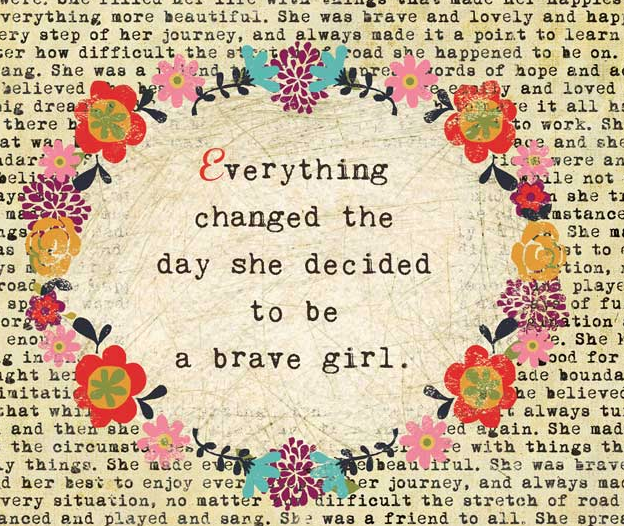 Love this -- her spark was magic and you added your magic and voila! Fantastic! !